With his background in telecoms R&D, start-up, operations, strategy, JV and mergers, Emin now practises as a non-exec and as an advisor specialising in network strategy and operations, business development, network sharing and partnerships. 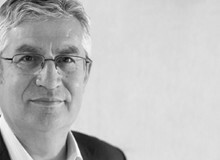 Emin is the Chairman of Azenby, he serves as an independent director on two telco boards and he also advises PE firms and technology start-up companies. His early years in radio communication R&D were with British Telecom. He was part of the launch and growth of UK mobile operator one2one in the 90s. The last ten years of his corporate career were in executive roles within Deutsche Telekom’s T-Mobile business in Europe, the latest as VP of Network Services in EE.